When the Lincolns moved into the White House on March 4, 1861, they were less prepared than any previous occupants for the duties and challenges they would have to face. 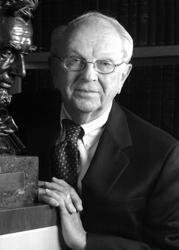 An able Illinois lawyer who had gained a national reputation in his debates with Stephen A. Douglas, Lincoln, at the age of fifty-two, had no administrative experience of any sort; he had never been governor of his state or even mayor of his town of Springfield. A profound student of the Constitution and of the writings of the Founding Fathers, he had a limited acquaintance with the government that they had established. He had served only a single, rather unsuccessful term in the House of Representatives in the 1840s and had not returned to the national capital since. Though Lincoln was one of the founders of the Republican party, he had few acquaintances and almost no close personal friends in Washington. In charge of the country's foreign relations, he had no correspondents abroad and no acquaintance with any ruler of a foreign nation. Nearly a decade younger than her husband, Mary Lincoln was equally unprepared to be mistress of the White House. The daughter of a well-to-do merchant and cotton manufacturer, she had grown up in comfort in Lexington, Kentucky, where she had received the best education available for young women -- including instruction in French. But for the previous twenty-two years, she had lived in semi-frontier Illinois, with only an occasional visit to her Kentucky relatives and one unhappy winter in Washington when her husband was in Congress. In a modest frame house on Eighth Street in Springfield, she had made a comfortable middle-class home for her husband and their children. Like her husband, she had no friends in Washington. Clearly, had the Lincolns occupied the Executive Mansion during the most tranquil of times they would have faced difficulties. But in 1861 the circumstances were particularly trying. The states of the Deep South had seceded and set up the Confederate States of America. While Confederate troops besieged Fort Sumter in Charleston Harbor, one of the few installations in the South still in Union hands, the states of the Upper South teetered between union and secession. Lincoln had to face this crisis as the first Republican president, obliged to create an administration from discordant groups that had never before worked together. Even as Lincoln was sworn into office, members of his party were beating on the doors of the White House demanding that the spoils of office be distributed to the party faithful. Hounded by office seekers, Lincoln said he sometimes felt like a hotel keeper who was trying to put out a fire in one wing of his establishment while renting rooms in another. Mary Lincoln's problems were equally severe. Because she was the wife of a Republican -- who completely supported her husband's views and ambitions -- the Southern women who dominated Washington society resolved to snub her. The few New England women in the national capital distrusted her because she was Southern-born and because, eventually, four of her brothers and three of her brothers-in-law enlisted in the Confederate army. Easterners in general were sure that she was an uncouth frontier woman -- doubtless as uneducated as an Indian squaw, and smoking a corncob pipe. Whatever she did -- or failed to do -- was certain to be closely watched and criticized. It was, then, with trepidation that the Lincolns on the morning after the inauguration began to explore the Executive Mansion. They were overwhelmed by the size of their new residence with its thirty-one rooms, not including the conservatory, various outbuildings, and stables. The East Room alone was about as large as their entire Springfield house. After a quick inspection, Lincoln, who was totally indifferent to his physical surroundings, concluded that the mansion was in good shape, and was ready to settle down to work. But Mrs. Lincoln came up with a very different verdict. Accompanied by her sisters, who were visiting her from Springfield, she went from room to room, finding the furniture broken down, the wallpaper peeling, the carpeting worn, the draperies torn, the eleven basement rooms filthy and rat-infested; the whole place had the air of a run-down, unsuccessful, third-rate hotel. Both the Lincolns promptly discovered that the Executive Mansion was as much a public building as it was a home. Except for the family dining rooms, all the rooms on the first floor were open to all visitors, and anybody who wanted to could stroll in at any hour of the day and often late at night. A single elderly doorkeeper was supposed to prevent depredations, but often no one was on duty. On the second floor, nearly half of the rooms were also public; they were devoted to the business of the chief executive. Here were a reception room, the offices of the president's secretary, and the president's own office, which also served as the cabinet room. A solid black walnut table occupied the center of the president's office. Along one wall of the room were a sofa and two upholstered chairs, above which hung maps of the theaters of military operations. In a corner by the window was a large upright mahogany desk, so battered that one of Lincoln's secretaries thought it must have come "from some old furniture auction"; the pigeonholes above it served as a filing cabinet. Lincoln's smaller working desk stood between the two windows. All the furnishings of this wing of the White House were of the most nondescript kind, and the floor was mostly covered with oilcloth, which made it easier to clean up after overflowing or missed spittoons. From early morning until dusk, these rooms were thronged with senators, congressmen, applicants for government jobs, candidates for military appointments, foreign dignitaries, and plain citizens who had favors to ask or who just wanted to shake their president's hand. In the early months of Lincoln's first administration, the line was often so long that it extended down the stairs to the front entrance, with a candidate for a job or a military appointment perched on each step. Lincoln found himself a prisoner in his own office; every time he stepped out into the corridor to go to the family quarters on the west end of the building, he was besieged with complaints and petitions. Finally, in order to gain a little privacy, he ordered the only structural addition made to the White House during his administration -- a partition built through the reception room, which allowed him to retreat unobserved from his office into the family's private rooms. Those private quarters, which initially seemed so palatial, proved to be remarkably constricted. There were, in fact, only six or seven rooms where the Lincolns could enjoy any privacy. They made the upstairs oval room the family sitting room. 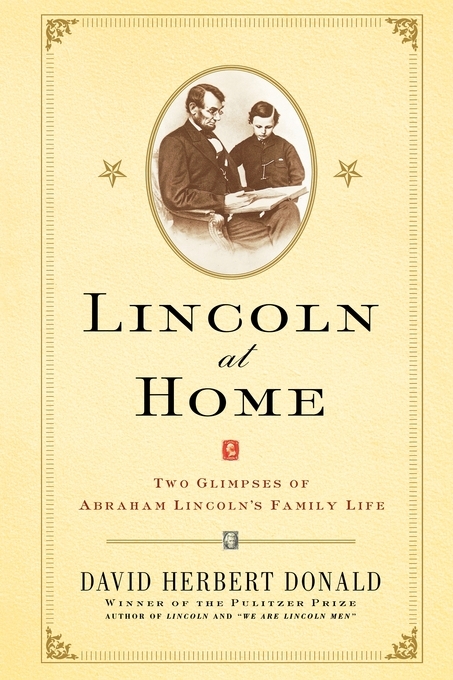 The two adjoining rooms on the south side were those of President and Mrs. Lincoln; as in Springfield, they used separate, but connecting, bedrooms. Across the wide corridor were the "Prince of Wales Room," the state guest room of the Executive Mansion, and the infrequently used room of their oldest son, Robert Todd Lincoln, a student at Harvard College, who was in the White House only during brief vacation periods; the rest of the time it served as a guest room. Also on the north side were the rooms of the two youngest Lincoln boys -- Willie, aged ten, and Thomas (always called "Tad"), who was eight.